Kiowa County is named for the Kiowa Native American tribe who resided in the region. 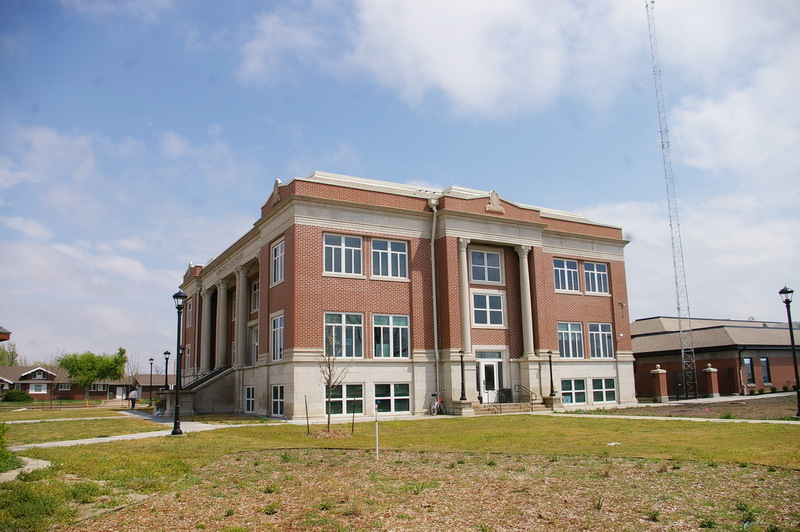 Description: The building faces north and is a two story red colored brick structure. 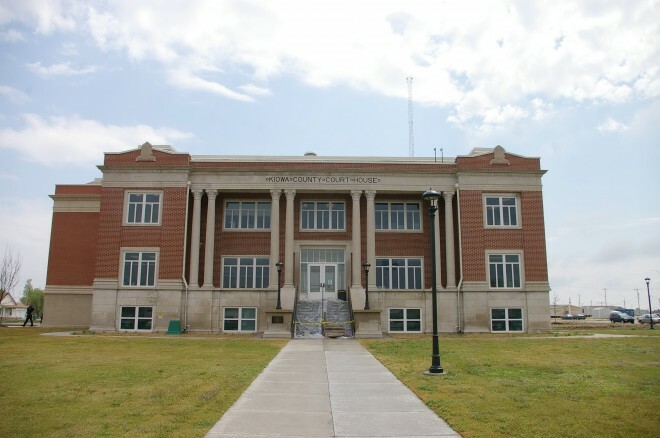 The building has a recessed center section with porch supported by eight high columns rising to the wide header below the roof line. 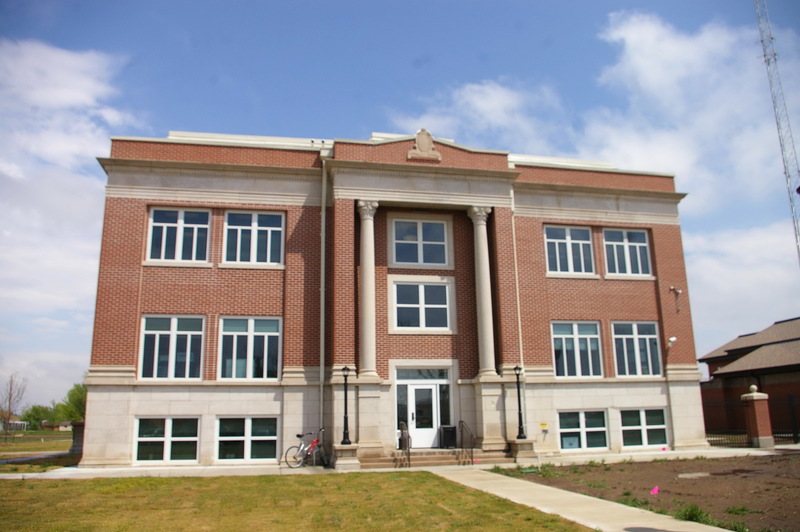 The windows are large squares of block glass. 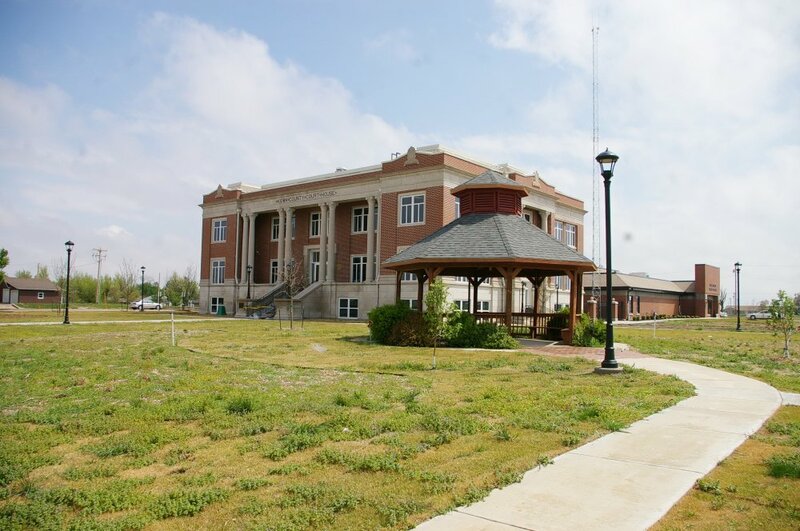 The base of the building is stone. 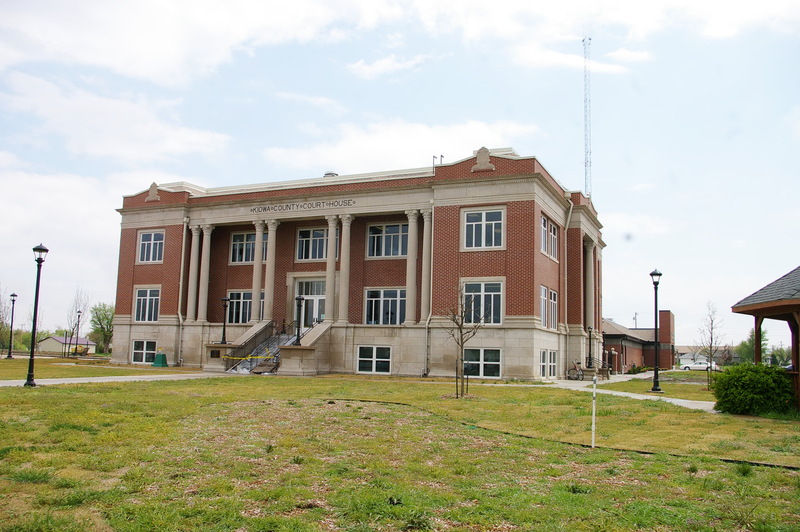 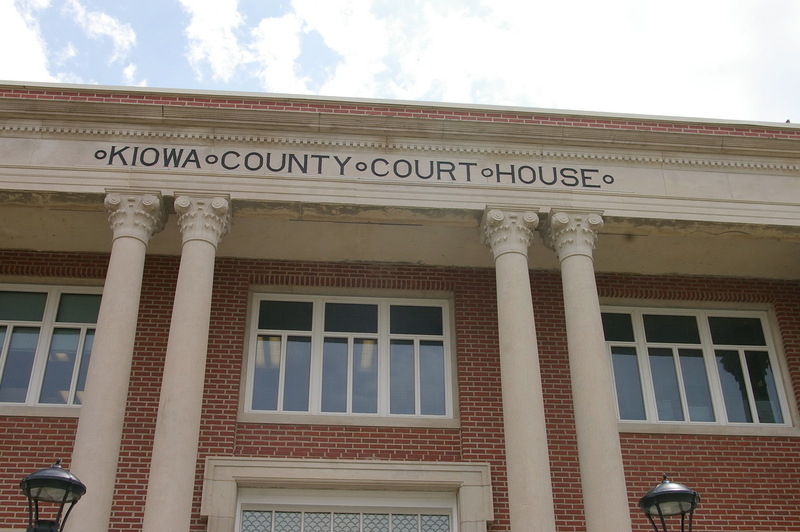 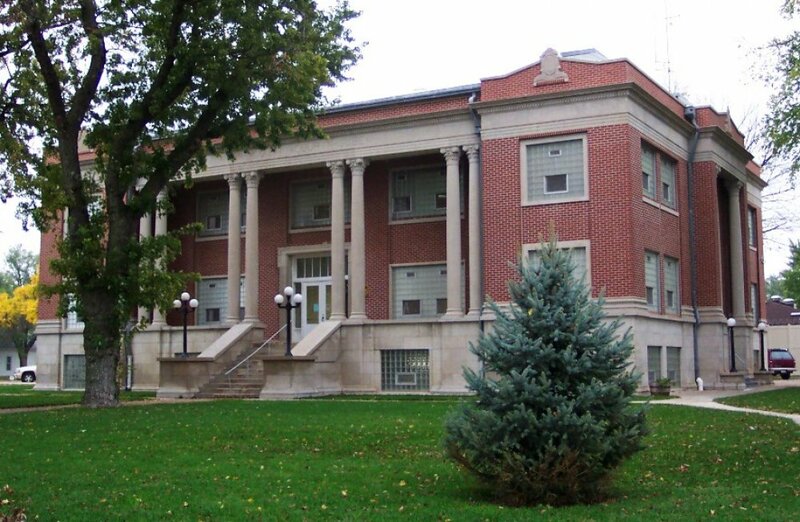 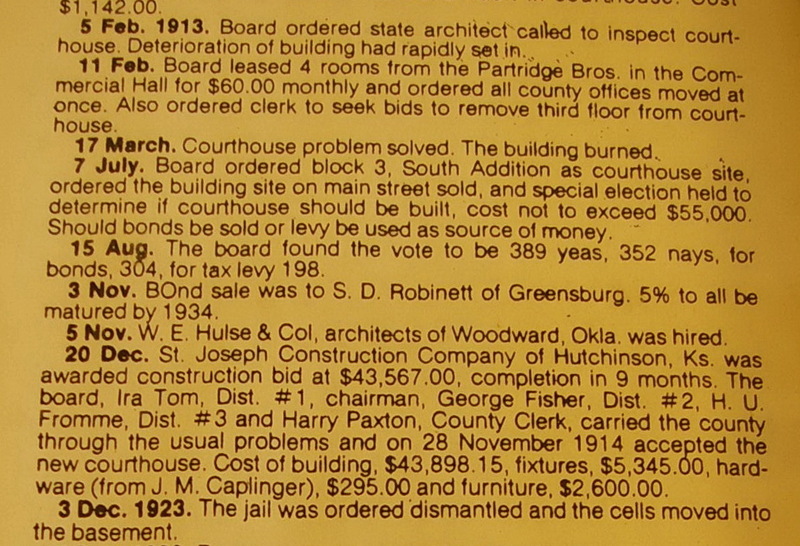 Note: The accepted bid for construction of the courthouse was $43,567. 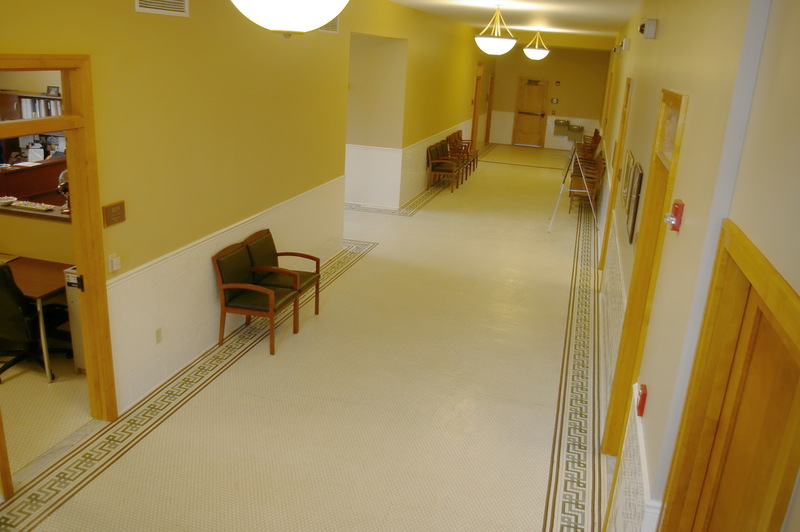 Note: On May 4, 2007, Greensburg was severely damaged by a tornado and the courthouse was repaired and remodeled in 2009. 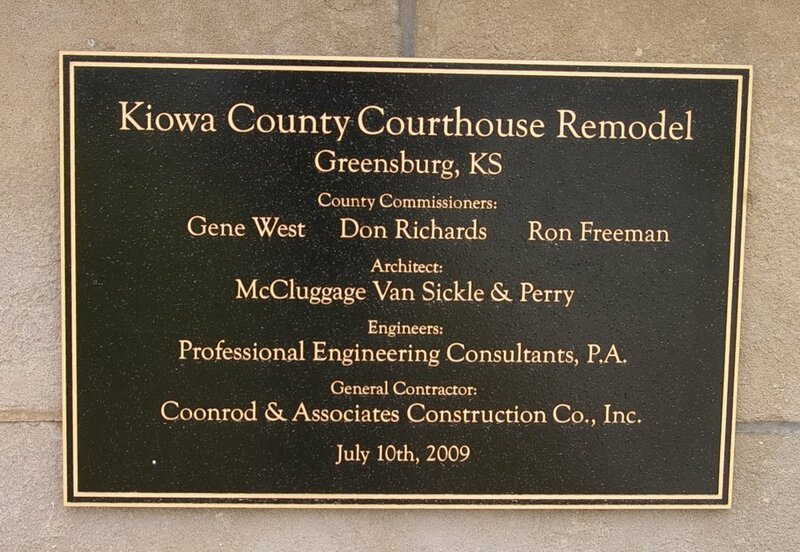 The architect was McCluggage Van Sickle & Perry and the contractor was Coonrod & Associates Construction Company, Inc.
See: The architect, William Earl Hulse & Company of Hutchison, designed courthouses in Barton County, Brown County, Osage County, Pawnee County, Reno County, Wallace County and Wichita County.